Given that most of us will have only 240 V single-phase in our shops, we need to be certain that the drive we are buying allows single-phase operation. Yes, we have to be careful as some (even small capacity VFDs) are rated only for three-phase input only. Our ideal VFDs take in 240 Volts and output three-phase to run a motor. The speed and the direction can easily be changed. 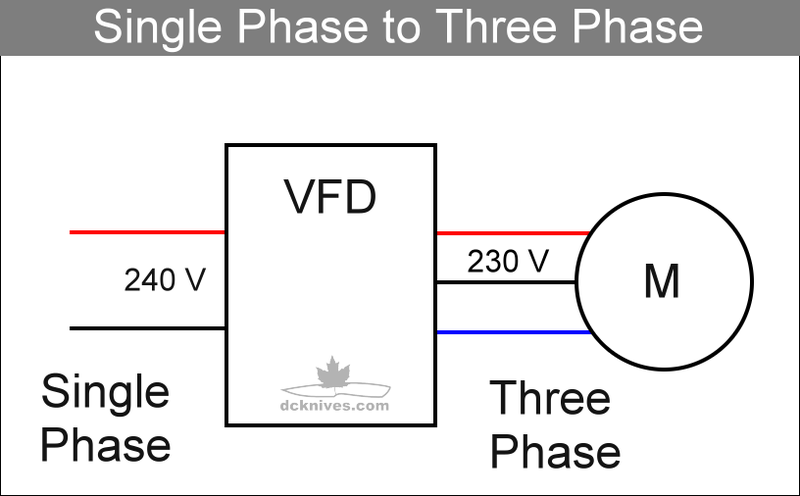 In this sense a VFD is a digital phase converter, meaning it converts single to three-phase. 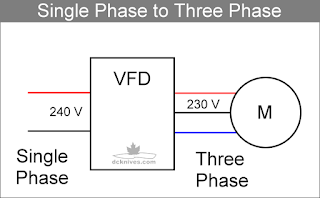 Here are a few single-phase 120/240 V VFDs that I could look up in a short time. These VFDs are packages that are sealed and do not require any additional protection. These VFDs are packages that are not sealed and will require protective measures. The second portion of the list above are unsealed VFDs. It is highly recommended that you enclose them in a proper electrical enclosure and provide adequate cooling. The KBAC VFDs are fully sealed and ready to go. This comes with an additional cost, but there is substantial time savings by spending the extra up front. Please note there are dozens more great VFDs brands out there. These are some drives that I or my associates have worked with in the past. They are all from reputable manufacturers. 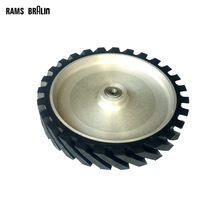 For more on motors for grinder applications see the Grinder Motor Guide. Dan - in a moment of stupidity ( never shop online whilst drinking home brew!) I ordered a 110v 1 and 3 phase VFD rated for 3hp. I have plenty of motors at home from numerous spas that are 230v and 3 hp. Question - can I wire in a step-up transformer downstream of the vfd in order to use the 230v motor? Can't seem to find an 110v 3hp motors and the transformer would seem like an easy solution. Up could use three transformers (or one three phase transformer) to step up the output of the VFD from 115 V to 230 V. However, there will be considerable heating in the transformers due to harmonics from the VFD output, so the transformers will need to be oversized. The cost of these transformers will likely cost more than a new 230 V VFD. I have no idea why they sell 110 V three phase VFDs. I've never seen a motor that would work with them. Perhaps in other countries these are more common.